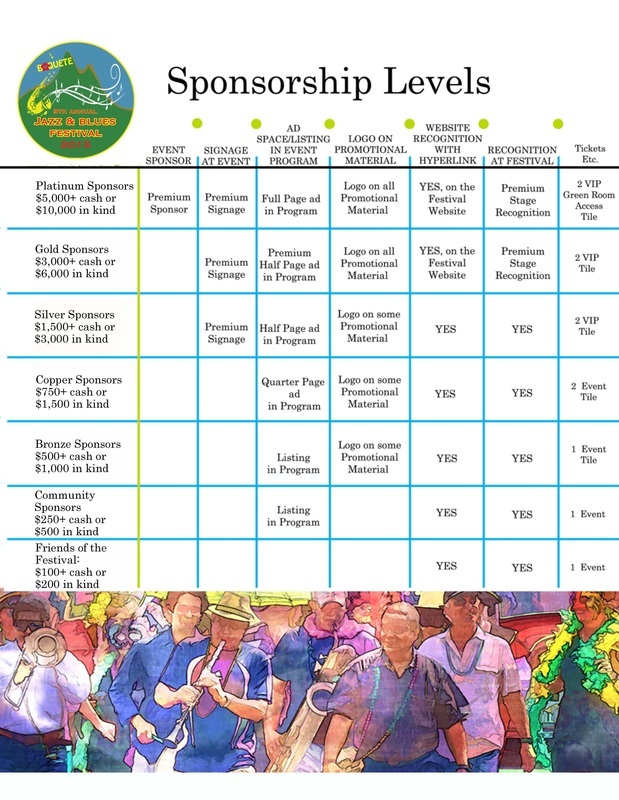 Be a sponsor to the 2015 Boquete Jazz & Blues Festival! Support the only combined Jazz and Blues Festival in Panama and all of Central America! Use this unique opportunity to present your brand or products to thousands of visitors of the festival and this website as well as our facebook page and group! Check out our new sponsor kit for the 2015 Boquete Jazz & Blues Festival by clicking here or by downloading it right here below! Learn how to expose your business to more than 15,000 monthly visitors of our website, and put it on center stage of the festival with thousands of visitors! Your logos will stay on our website and newsletter for 6 months after the festival. That means that if you'd decide to be a sponsor for BJBF 2015 and send us your logo now you'd get continuous exposure of your business to tens of thousands of people for more than a year! If you and your company want to make use of this great advertising opportunity and support the festival please contact us via our contact form. The chart above is only a part of our sponsor kit. You may download our complete sponsorship proposal by clicking on the image below. 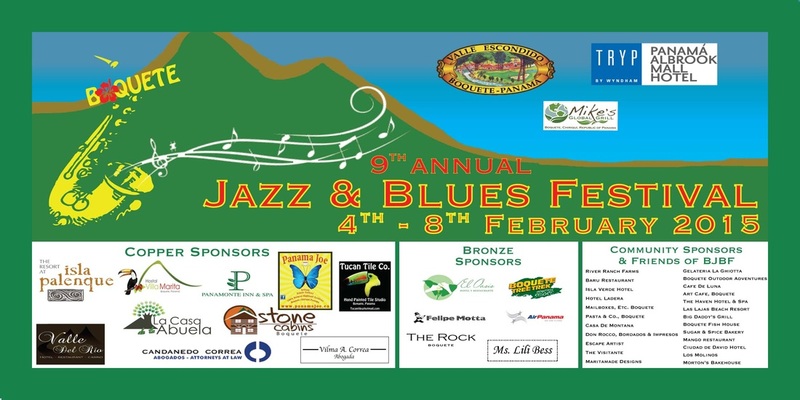 Please patronize our sponsors many of whom have supported the Boquete Jazz & Blues Festival for years. Without their support there wouldn't be a music festival in Boquete! To learn more about their businesses please click on the logos below. Feb 1, 2015: 146 members have signed up already! Join them! Only 4 memberships left !! !